Continuously published since 1906; inspiration at your fingertips. Subscribe now! Preserving and innovating the practices of the profession; sharing the knowledge of generations. 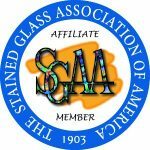 The Stained Glass Association of America is a professional trade association whose membership consists of the finest architectural stained and decorative art glass artists and studios in the United States and around the world. 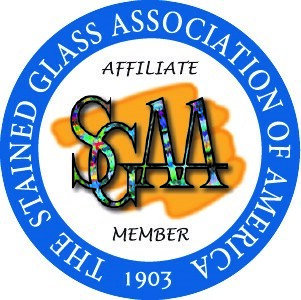 The SGAA actively works for the betterment of the craft of stained glass and architectural art glass through various programs that are designed to benefit the members of the SGAA and the clients whom we serve. You will find information in this website about the Stained Glass Association of America and its programs. If you have questions about the SGAA or about architectural stained glass that are not answered on this website, you are welcome to contact the SGAA Headquarters at 1-800-438-9581 or headquarters@sgaaonline.com and we will be happy to assist you. To defend and protect its craft against unwarranted regulation restricting its freedom of use as an architectural art form. 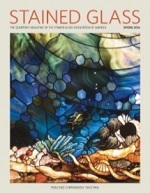 You will receive The Stained Glass Quarterly, the professional trade magazine of the Stained Glass Association of America as part of your membership. CLICK HERE to join now and we’ll send you the current issue FREE! As low as $34 per year. You can receive the award-winning Stained Glass Quarterly, the professional trade journal of the SGAA, four times a year filled with information you need! Technical articles on current methods and what is coming to the world of glass. Everything you need to keep you on top of current glass news. 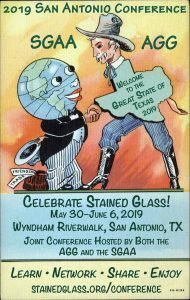 For the Stained Glass Association of America’s 110th Annual Summer Conference, we are delighted to be celebrating our first ever completely joint summer conference with the American Glass Guild. These two organizations have a long dedication to education, inspiration and preservation across the industry of architectural art glass and a joint forum promises to be an absolute show stopper. Together, we will prove that everything is, in fact, bigger in Texas. Questions? Call 1-800-438-9581. We can also sign you up over the phone with Visa, MasterCard, American Express or Discover.